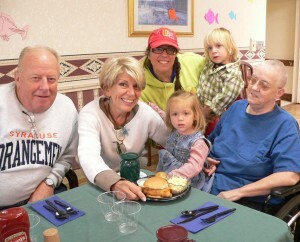 Pictured gathered around the table at a recent luncheon at St. Luke Health Services, featuring food from Rudyâ€™s Lakeside are (left to right) Jack Zeller; Rudyâ€™s owner Carol Livsey with her granddaughter Adiss; Carolâ€™s daughter Allison and nephew Bradley; with St. Luke short-stay rehabilitation patient (and longtime Rudyâ€™s employee) Donna Zeller, as they had a chance to visit during the â€œNear End Of Summerâ€ luncheon. OSWEGO â€“ In Oswego, nothing says â€œsummerâ€ like Rudyâ€™s Lakeside. And what has become a â€œnear endâ€ of summer ritual for folks at St. Luke Health Services, Rudyâ€™s owners Carol and Jason Livsey, and family brought all the fixingâ€™s for a great lunch, featuring Rudyâ€™s favorites like a great fish sandwich and of course – â€œTexas Hotsâ€. 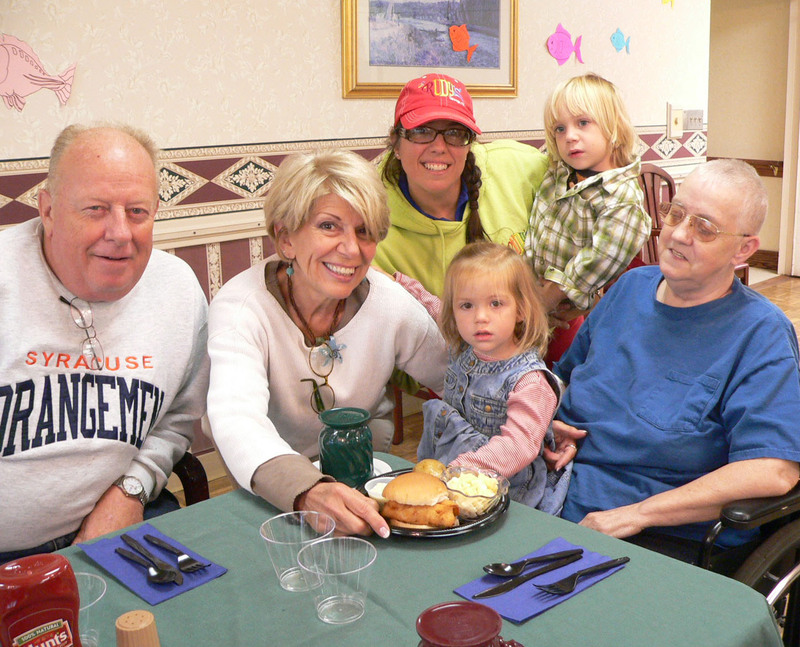 Rudyâ€™s not only provided the ingredient for the lunch, Rudyâ€™s owner Jason Livesey used the St. Luke kitchen to prepare the meals and St. Luke volunteers and staff served the meals to appreciative residents.